Many people will be familiar with this leading accounts and payroll software company. Sage was founded by a Newcastle University graduate, Dave Goldman in 1981. In 1989, the company floated on the London Stock Exchange and expanded rapidly to become a global operation. Sage entered the FTSE 100 in 1999 riding the crest of the dotcom boom. Unlike most tech companies which fizzled out as quickly as they rose, Sage has continued to grow its business both organically and via acquisitions and currently has over 6 million customers worldwide and a market cap of £4.1bn. Sage operates in many European countries, North America, South Africa, some N African and Middle East countries, Australia, New Zealand, Malaysia, Singapore and most recently Brazil. Last week the Company announced final results for the year to 30th September 2013 (link via Investegate). Underlying revenues increased 4% to £1.26bn, earnings were up 12% at 22.27p and adjusted dividend is up 6% at 11.32p (rebased). The dividend for the year is covered 2x by underlying earnings per share. 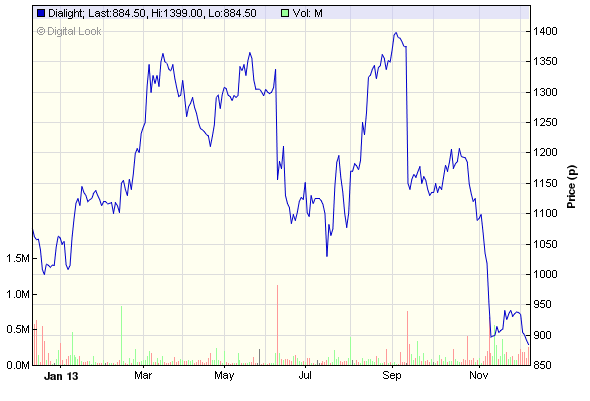 Also, last June, the Company paid out a further 17p per share special dividend. Commenting on the results Guy Berruyer, Chief Executive, said: "I am pleased to report a strong set of results, with good growth across all regions and our strategic initiatives progressing well. These results highlight the strong appeal of our offering to SMEs, great execution in delivering on our plans and the benefit of a clear strategy, which focuses on our most significant growth opportunities. The strategy is working and growth is accelerating. We remain confident of achieving our target of 6% organic revenue growth in 2015, and anticipate further progress during the year ahead." A feature of the year has been successful execution driving good results across all regions. North America reported organic revenue growth of 6% for the year, a significant acceleration from the 2% reported in 2012. 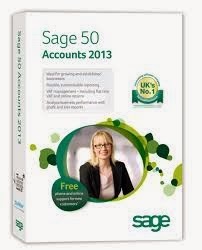 Highlights included good growth from premium support and the success of Sage ERP X3. Europe achieved organic revenue growth of 2% for the year, a positive performance given the macroeconomic environment and an improvement on growth of 1% in 2012. The highlight was the UK & Ireland, with organic revenue growth of 5% for the year, although it was encouraging to see France and Germany return to growth in H2 and for Spain to exit the year with modest growth. AAMEA delivered good organic revenue growth of 9% (2012: 12%), with a very strong performance in South Africa offset by a weaker Australian performance. Highlights for South Africa included a strong mid-market performance and strong growth in the rest of Africa. Whilst Brazil is not included in organic growth until 2014, the business delivered good growth notwithstanding the slowdown in the economy. Approximately 15% of Group revenues are now generated from attractive growth markets in AAMEA and Brazil. Sage has demonstrated its ability to expand its operation and achieve good levels of growth. The Company have doubled revenue growth from 2% to 4% over the past 12 months and say they are confident of delivering their target of 6% revenue growth in the coming year. 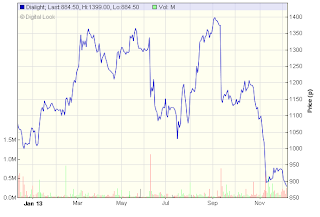 I have now added it to my ISA portfolio at the initial price of 369p and yield of 3%. Plastics Capital (PLA) is a specialist plastics products manufacturer focused on proprietary products for niche markets. The Group has four factories in the UK, one in Thailand and sales offices in the USA, Japan, India and China. The Company was established by Faisal Rahmatallah and Arun Nagwaney and was incorporated in December 2002. Since then the company has grown mainly through acquisitions and was listed on the AIM market in London in December 2007. Currently approximately 60 per cent of sales are exported to over 80 countries worldwide and production is concentrated in the UK where significant engineering know-how and automation underpins the Group's competitiveness. The Group has approximately 300 employees within the four key operating subsidiaries: BNL in Knaresborough (North Yorkshire), C&T Matrix in Wellingborough (Northamptonshire), Palagan in Dunstable (Bedfordshire) and Bell Plastics in Poole (Dorset). Bell Plastics is the global leader in manufacturing highly specialised plastic mandrels used predominantly by the manufacturers of hydraulic and other industrial hoses in their own manufacturing processes. Hose mandrels are long, high-specification rods around which reinforced industrial rubber hoses are formed and the mandrel a critical consumable in the global rubber hose industry. BNL is a market leading specialist designer and manufacturer of innovative plastic bearings products as well as plastic gears, shafts and bushes. Using in-house expertise, BNL works in long term partnership with its customers, designing and developing customised solutions for major multi-national OEMs. C& T Matrix manufactures creasing matrix, a consumable product which is an integral part of the manufacture of cardboard boxes, cards, point of sale material and the like. Creasing matrix enables folds to be made in cardboard and facilitates accurate high quality creasing prior to folding, enabling cardboard to be creased automatically and accurately by high speed box making and printing machines. Palagan manufactures blown polyethylene films used in high performance industrial packaging. Palagan focuses on small and medium-sized UK and European customers with bespoke needs in terms of film strength, tear resistance, printing, surface finish and the like. Last week, the Company issued results for the half-year to 30th September 2013. Revenues increased 4.1% to £16.3m. Mandrel increased sales by 56% compared to the same period last year. Excluding the one-off realized foreign exchange gain in H1 2012-13, profits increased by 4.4% and earnings were up 7%. Net debt was reduced by £0.5m to £8.1m. PLA has increased the interim dividend over 50% to 1.0p payable 30th December (ex div 11th December) and offers a prospective yield of 2.4% this year. The projection is for 4.0p - 3.2% next year and 5.0p - 4% in 2 years. This appears to be a well-run operation and PLA offers exciting opportunities for growth, particularly with its new base in Shanghai. I made an initial purchase today at 124p. A couple of months back I decided to sell my holding in Dialight following a second warning on profits - here's the link. Since the sale the share price has retreated nearly £3 and my alert was triggered last week when the price fell below 900p. Last month, Dialight issued an interim management statement saying that essentially expectations of underlying profit for 2013 were in line with the previous year. I think there may well be further price weakness, however, I believe the long term prospects are positive and I have repurchased today at 880p which is the lowest the sp has traded over the past 12 months. Fingers crossed for some positive news on orders in the new year.